As part of City Council President Darrell Clarke’s and the Philadelphia Redevelopment Authority (“PRA”) initiative to provide workforce housing, BMK Properties is proud to present for sale thirteen (13) NEW CONSTRUCTION SINGLE FAMILY HOMES located at 942, 948, 950, 962, 981, 983, 985, 987, 993, 995, 998, 1010 and 1012 North Marshall Street in Philadelphia’s East Poplar neighborhood. Developers and Managing Partners Lawrence McKnight and Mo Rushdy from BMK Properties, a subsidiary of the River Wards Group, will provide design vision and upscale specifications. BMK Properties has elected Houwzer, Philadelphia-based free seller listing brokerage, to list the homes. 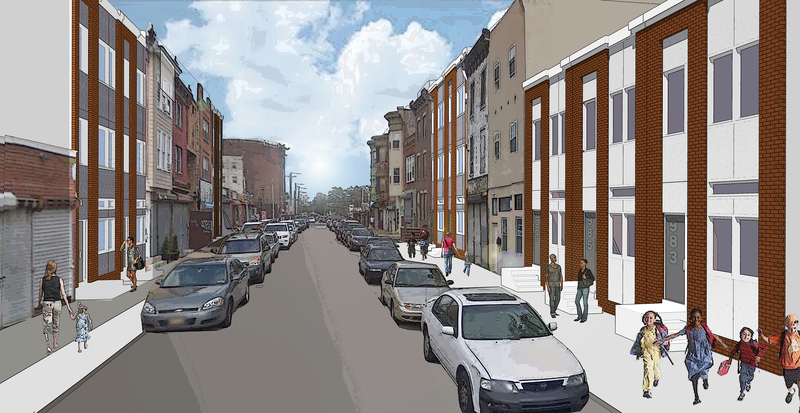 “This project is a great example of how the private sector, housing agencies, and City Council, can work together to provide new construction homes in destination neighborhoods for hard working Philadelphians,” said Mo Rushdy of BMK Properties. Workforce Housing is designed to provide affordable homes for median-income earners. Eligible buyers can not exceed 120% of the area-wide median. This project will increase the availability of affordable housing in close proximity to Center City and other destination neighborhoods. A groundbreaking ceremony was held on November 2, 2016 with special guests Council President Clarke, BMK Properties (Riverward Group), PRA and Meridian Bank (Financing Bank). Unique mortgage options will be available by Meridian Bank for the purchasers of the units. All units are priced at $229,999 and are available for purchase.